Originating as a military post during the frontier era, the city of Fort Smith, Arkansas is filled with tradition, history, and culture, from the Italianate-style Clayton House mansion to the historic streetcars at the Fort Smith Trolley Museum. The Arkansas gem is where the New South meets the Old West, giving you the best of both worlds in terms of sights and foods. You can spend your days discovering modern attractions at the Fort Smith Regional Art Museum or wandering the diverse natural landscapes at the Janet Huckabee Arkansas River Valley Nature Center. With so much to see, do, and experience, your trip to Fort Smith is sure to be memorable for the entire family. Start your trip to Fort Smith National Historic Site at their visitors’ center, which is housed in the old courthouse/ jail/ barracks building. 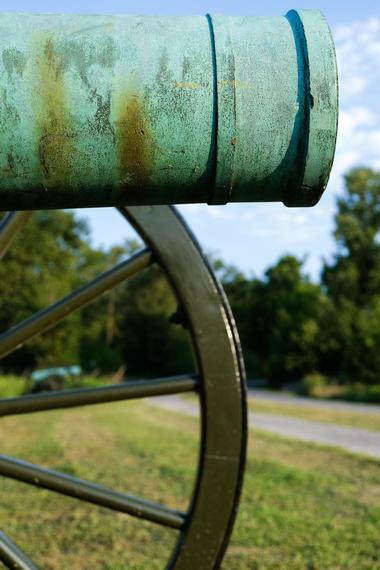 You’ll see many exhibits which focus on Fort Smith’s military history and western expansion. 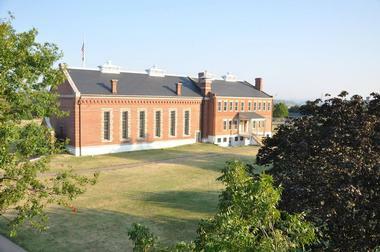 As you walk the grounds, which is listed on the U.S. National Register of Historic Places, you’ll come across the remains of several important structures such as the commissary building from 1838, the first Fort Smith circa 1800, and the reconstruction of gallows that were once used by the federal court. Visitors can also take a stroll on the park’s walking trail which goes along the Arkansas River. Miss Laura’s Visitor Center, which used to be known as Miss Laura’s Social Club, can be found alongside the Arkansas River in Fort Smith’s historic downtown area. The former bordello, which is the only one out of the seven row houses from the area’s old red-light district to still stand today, is listed on the National Register of Historic Places. You’ll be able to explore the property, which has been fully restored to its original grandeur, and see many exhibits and artifacts. Complimentary tours of the Victorian mansion are held daily for visitors to get an in-depth view of the prominent structure. The Fort Smith Museum of History, which was established in 1910, is a wonderful place for people to get a better understanding of the area’s history and culture. The museum strives to collect, preserve, and share artifacts and exhibits of all sorts so that guests, local and visiting, will be able to get a glimpse of Fort Smith’s past. 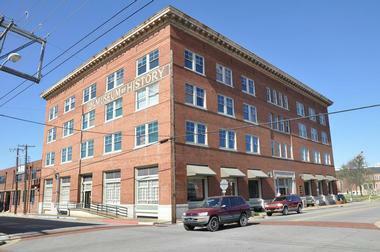 The building which the museum is housed in is the 1906 Atkinson-Williams Warehouse, which in itself is listed on the National Register of Historic Places. After touring the exhibits be sure to walk through the 1920’s pharmacy and enjoy an ice cream float, ice cream sundae, or ice cream soda at their old-fashioned soda fountain. Parrot Island Waterpark is a great way to cool down and have some fun with friends and family. They have several attractions such as their Caribbean Splash wave pool where you can jump and play in over 85,000 gallons of water or their Toucan’s Cove activity pool which connects to the Crocodile Creek lazy river. Little beach goers can splash and play in the age-appropriate slides, waterfalls, and climbing toys in Tiny Turtle Island. Some of their more adventurous slides include the Pineapple Plunge, Pelican Plunge, and Tangerine Twist, which catapults you into the pool below at high speeds. 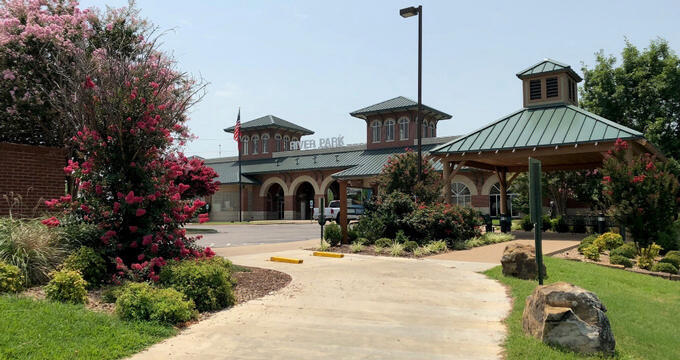 One of the four centers owned and operated by the Arkansas Game and Fish Commission, the Janet Huckabee Arkansas River Valley Nature Center is a wonderful experience which locals and visitors enjoy. 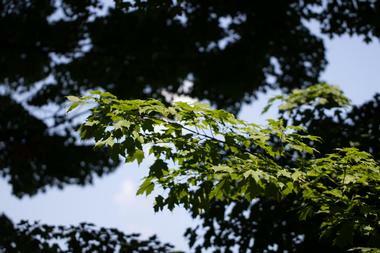 The 14,000-square-foot nature center is surrounded by over 170 acres of land which include lakes, valleys, upland forests, wetlands, and pine forests. There are several activities for you to participate in including fishing, boating, canoeing, hunting, and archery. You’ll love going on one of their guided hikes through the stunning surroundings, where you’ll be able to learn so much about the flora and fauna present there. The Fort Smith Trolley Museum came to be long before it’s physical existence in the former Midland Valley railroad yard in 1985. Several railcars were purchased and restored for years by Dr. Art Bradley Martin Sr. and the Fort Smith Streetcar Restoration Association, beginning in the late 1970s. Visitors of all ages love being able to see the gorgeous streetcars, which include Fort Smith Light & Power #10 and a Fort Smith Light and Traction #205. In addition to the trolleys, you’ll also come across an extensive rail collection which includes combustion locomotives and railway speeders. There are several events which the museum participates in throughout the year such as the popular Sweet Treats Trolley which will serve a number of desserts at the museum for you to feast on. 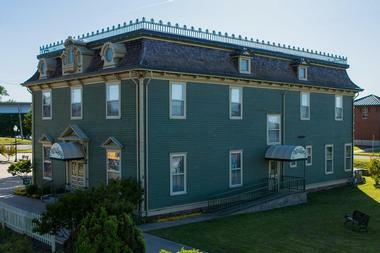 The Clayton House is often described as a living history book of Fort Smith’s Victorian period. You will find the Italianate-style mansion in the Belle Grove Historic District and are welcome to explore the lovely antebellum masterpiece which was once the home of William Henry Harrison Clayton. During your guided tour you will learn several interesting aspects about the house, such as its addition of coal-burning fireplaces in each room since it was constructed in a time with no indoor electricity or plumbing. You’ll also see some lovely period furniture while you’re there, some of which originated in the house and others which were carefully chosen and added. 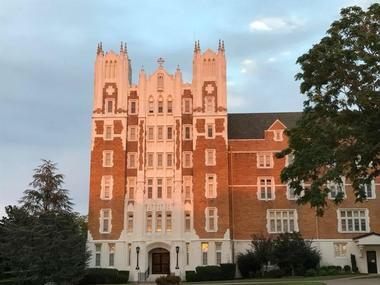 The Saint Scholastica Monastery, which was formerly known as the Saint Scholastica Convent, is one of Fort Smith’s most iconic religious facilities. 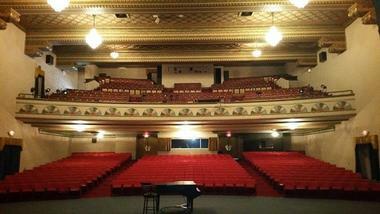 The historic structure was built in 1923 and designed by Oklahoma City architect, F. W. Redlich. Now listed on the National Register of Historic Places, the monastery started off as a chapel, school, and living quarters for the convent. Architecture aficionados will love the little details that they will come across as they explore the internal and external aspects of the property. Visitors are invited to spend a few days of private retreat at the center; several sessions, seminars, and workshops are scheduled throughout the year. Creekmore Park is the perfect choice for families in Fort Smith who feel like spending the day outdoors. In addition to walking their trails and letting the kids go wild in their playground, the park is also home to several additional facilities that will make your visit memorable. The Creekmore Express Train is a favorite with park-goers; there are three complimentary miniature train rides to choose from, each of which will take you on an exciting trip around the park. During the Christmas season, be sure to ride the Creekmore Holiday Express complete with hundreds of animated lights. Other aspects include Creekmore Pool, which has a splash pad for little ones, as well as their 18-hole miniature golf course. The Fort Smith Farmer’s Market is lovely vendor-driven market that is open throughout the year. Nearly 100 growers, merchants, and artists come together to sell goods which were produced/ created with care and love. Each visit has a different blend of flowers and foods that you can indulge in, many of which reflects the unique flavors of Fort Smith. Every Saturday, the market is flooded with local musicians, street performers, and various other entertainers to make your visit a memorable one for the entire family. You’ll be sure to find some lovely trinkets and souvenirs to take back with you from your visit to Fort Smith. 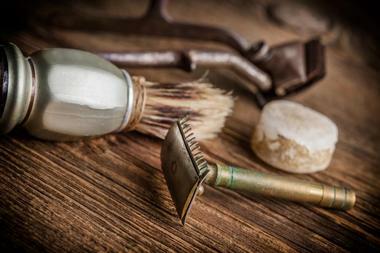 The Chaffee Barbershop Museum is one of the most unique places you can go to while in Fort Smith. Though there are many things to see while there, it is most famously known for being the place that Elvis got his first Army buzz cut on March 25th, 1958. A celebration is held there annually on that day, attracting Elvis fans and members of the Elvis fan club from all over the United States for a 50s style festival. Visitors will be able to see several artifacts and memorabilia from Elvis’ stay in town, including rare photographs. In addition to all of the Elvis-related materials, you will also see a number of military and refugee related artifacts which date back to the 1940s. 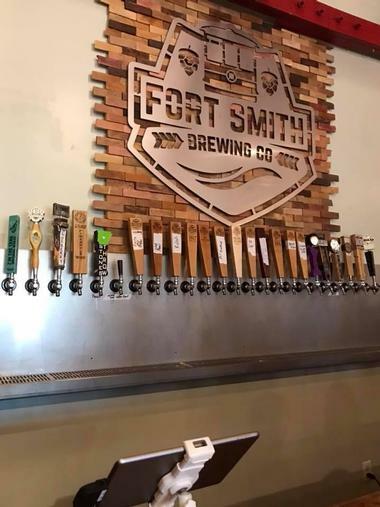 Dedicated to quality and community, the Fort Smith Brewing Company uses the finest ingredients - many of which are locally sourced - to produce flavorful craft beers. They’ve been featured on several publications and media outlets such as Untappd, Arkansas Business, and KFSM because of their popular, award-winning ales and brews. The simple, yet delicious flavors are crafted in small batches and some of the in-house brews they have available on tap include the 1817 Pale Ale, the Dat Nguyen Stout, and the Trailblazer IPA, which was their very first beer for the Fort Smith region. Be sure to match your beers with some delicious culinary concoctions from their kitchen such as pizzas, sandwiches, and homemade sides. 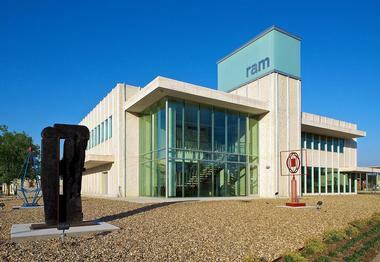 The Fort Smith Regional Art Museum, or RAM as it is popularly known, originated in 1948 and is now housed in a 16,000-square-foot building that offers several valuable services to local and regional artists. 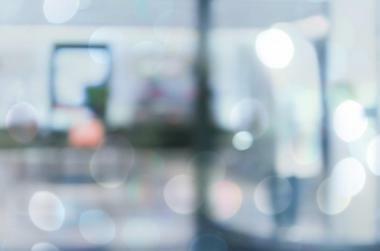 Their permanent and rotating exhibits are renowned and shows various mediums of work for you to enjoy. Some of the current works on display include the Ventana Series by Modern Master David Hayes and Pop Geometry by Todd Gray. In addition to the ongoing exhibitions, you will also be able to participate in lectures, receptions, camps, galas, artist-led workshops, programs, and classes for budding artists of all ages. 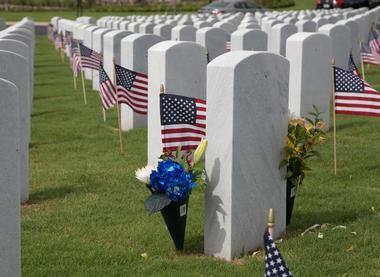 Encompassing over 22 acres, the Fort Smith National Cemetery was originally a frontier fort that was established in 1817. Visitors will come across several monument, tombs, and graves which they should take the time to explore. One of the more noteworthy aspects include a marble memorial dedicated to the Unknown Confederate Dead and Brigadier General James M. McIntosh and Alexander E. Steen. Some others are a granite memorial erected in honor of Vietnam Veterans, and interments to professional golfer and World War II veteran Jack Fleck, Civil War Confederate Richard C. Gatlin, and United States Air Force veteran Hal Smith. 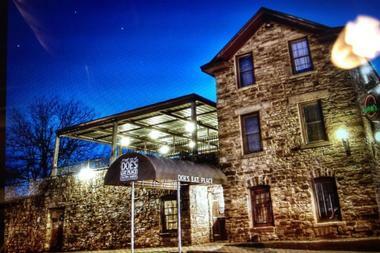 Steps away from Miss Laura’s Visitors Center and the roaring Arkansas River lies the Riverfront Park Events Building. 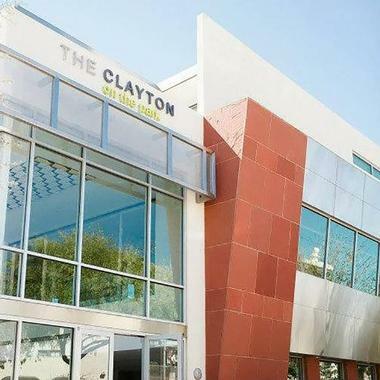 The complex comprises the Riverfront Glass Pavilion, which offers a panoramic view of your surroundings, the Riverfront Park Amphitheater which has hosted several popular performers, and other smaller event areas fitted with amenities such as a fully-equipped kitchen. There are many fun festivals that are held there every year, and which attract people from all over the US. Be sure to check their schedule and visit in time for the Riverfront Bluesfest or the Peacemaker Music and Arts Fest. Bringing fine art to Fort Smith, Michael’s Mansion Art Gallery is a wonderful place to explore the unique, and often underappreciated, work of local and regional artists. The creative atmosphere showcases a variety of pieces in different mediums. Some of their most popular exhibits which you’ll be able to see during a visit there are the Impressions of Natural Beauty by Jimmy Leach and Paintings of Surreal Feelings by Lorrie Dale Bridges. You can purchase one-of-a-kind works to take back a piece of Fort Smith with you, or to give as a wonderful gift for friends and family. Massard Prairie Battlefield Park was the site of a surprise attack led by Confederate troops on July 27th, 1864 against the Union soldiers. It was one of Arkansas’ most successful attacks on Union troops, leading to the site to be listed on the Arkansas Register of Historic Places. You’ll be able to walk and tour the historic grounds which remains as a remembrance of the historic battle and all of the men who lost their lives. Visitors will also find four preserved areas of the camp: the kitchen, the parade ground, and the camps of Companies B and D. Historical markers, monuments, memorial flags and much more can be seen around the grounds as well. The entire family will enjoy walking the trail and taking a peek into Fort Smith’s rich history. The Park at West End is one of the most charming parks you’ll ever come across, in Fort Smith or otherwise. There are so many incredible features of the park that it’s attracted visitors young and old for several years. 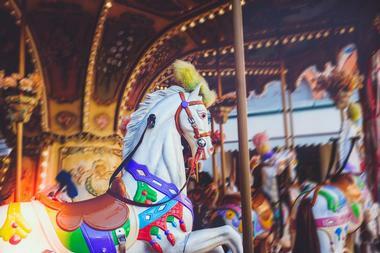 A few of the things you’ll surely love as you explore the picturesque destination are the vintage carousel, which was hand painted in Treviso, Italy, and a Ferris Wheel from the 1935 San Diego World’s Fair. A visit to the Park at West End isn’t complete without getting a snack from the Double Decker Bus concession stand or dining in the refurbished Pullman railcar diner. Rolando’s Restaurante serves delicious nuevo Latino cuisine which is sure to take your taste buds on an extraordinary culinary journey. Their Fort Smith location is the first branch, out of three, and can be found in the gorgeous historic downtown area. The building the restaurant is housed in dates back to the early 1850s and has been home to antique stores, taverns, and several other businesses. The foods you can choose from are filled with exotic flavors and some of the more popular options are the shrimp quesadillas, their handmade tamales, and their Plato De Adventura which has a combination of enchiladas, quesadillas, tamales, taquitos, black beans and rice, and guacamole. Doe’s Eat Place started in the early 1940s when Dominic ‘Doe’ Signa began cooking steaks and tamales for friends and family in Mississippi. The tradition and flavors continue in Fort Smith to offer locals and visitors a refined dining experience like no other. Each steak is fresh cut daily from whole beef loins which have been aged to bring out all of its natural flavors. 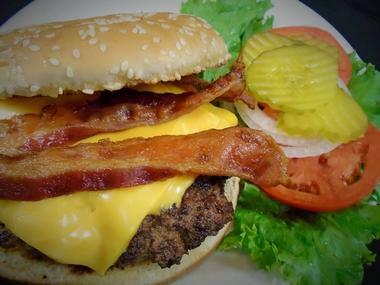 You’ll be sure to dine on fresh, high quality beef every time you eat at Doe’s. Start your meal with their handmade beef tamales or broiled shrimp which is seasoned with Doe’s secret blend of spices. For your main course choose from a T-bone, porterhouse, sirloin, filet, or ribeye, which is packed with flavor. Be sure to pair your meal with the perfect glass of wine or beer for an out-of-this-world dining experience. Calico County serves traditional American foods that are cooked with recipes that have been tried and tested over the years. 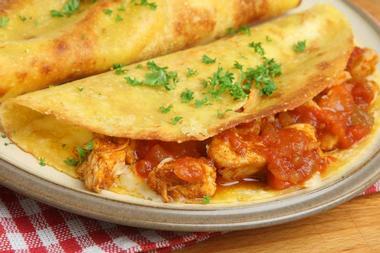 The restaurant has been filling stomachs since 1984 with ample portions of patron favorites. You can head over there for breakfast, lunch, or dinner for a meal that is fresh, healthy, and so delicious that everyone in the family will enjoy it. Serving all the goodness you’ve come to expect in your own home, you can feast on a Giant Country Breakfast which allows you to create your own variation of eggs, breakfast meats, and sides. Be sure to try their fried bar-b-q ribs which are famed throughout Fort Smith and are served St. Louis style with a roll and two sides. 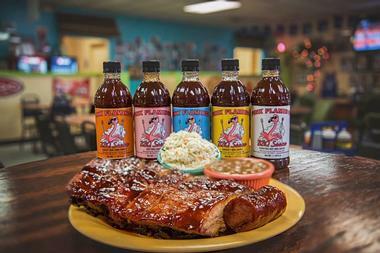 No visit to Fort Smith is complete without having a meal at Ralph’s Pink Flamingo BBQ & Catering. There are so many mouthwatering choices on their menu that you’ll want to try everything. The pulled pork sandwich on a bun is a local favorite and is made with meat from a whole pork shoulder that has been slow smoked with oak and hickory. For something slightly heavier, try their six-rib dinner comprising hickory-smoked baby back ribs that have been dry rubbed and brushed with a delicious light glaze. Side dishes are cooked fresh daily; choices include BBQ baked beans, cole slaw, cheesy taters, potato salad, and Southwest mac & cheese.